Buy shucked shellfish wholesale. We carry shucked oysters, whole belly clams, chopped clams, and clam strips perfect for deep frying, baking or stewing. 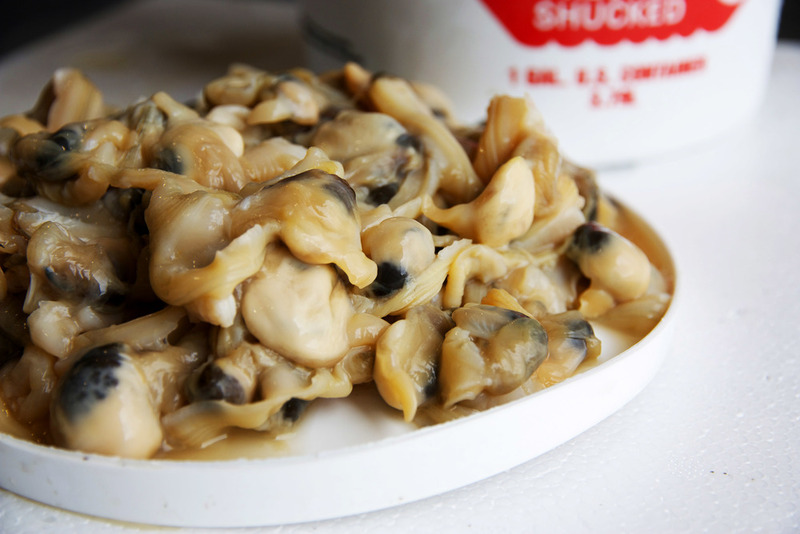 Looking for shucked shellfish to deep fry or stew? We've got that, too! We are so happy with the quality of this product that it is the only shucked oyster we carry. Willapa Bay oysters are the plumpest and sweetest shucked oysters we have ever tasted. They hold up amazingly well when deep fried or used in stews. They are also perfect for baking and broiling. Fryers or "Whole Belly Clams" are the shucked meat from steamer clams. As the name implies, they are deep fried and usually served with tartar sauce along with French fries. They are a true Massachusetts summer tradition! This gallon of chopped or minced Atlantic surf clam is most often used for chowder, but also sometimes used to supplement stuffed clams or fritters. Like the chopped clams, the clam strips are Atlantic surf clam meats. They are used to replace "whole belly fryers" on some menus.